I think the problem is that health bloggers are duplicitous, evil demon-spawn bent on destroying humanity with vicious lies and broken promises. Let me try that again. I think the problem is that, based on some popular, hyperbolic accounts of the benefits of eschewing the evil white crystals, I expected sugar detox to instantly make me feel more energetic, happier, healthier. My laugh would ring out effortlessly with the joy of healthy living. My skin would glow like a dewy moon, and my hair would shine like a …super shiny something else. It’s hard to think off candy. Mostly I just feel grumpy. And in dire need of something gummy and sour. Some (infinitely patient) friends pointed out, as I seriously contemplated mainlining some maple syrup, that it may take more than five days to feel the effects of a major dietary shift. I will let you know if they are right. At the end of the day I am stubborn as all hell. So on we go! *Clearly I would not kill an actual white rhino for a sour key. Do I look like a sociopathic Texas cheerleader? It’s hyperbole, people. 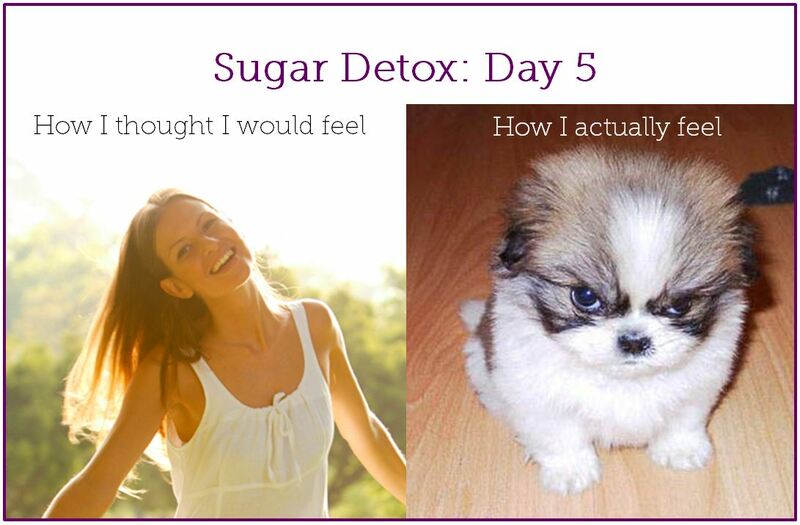 This entry was posted in Humour and tagged cranky, puppies, sugar, sugar detox, withdrawal. Bookmark the permalink.